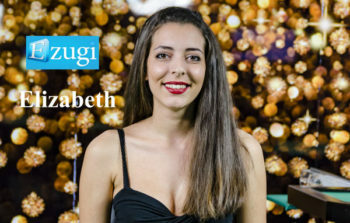 Elizabeth has been working for Ezugi for the past 2 years and works out of the studio in Bulgaria. It’s an interesting job. It’s a lot of fun and an amazing experience. The first and most important is to be polite, friendly and very patient. You have to be focused on the game and on the chat as the players may have questions. From dealer to Pit Boss. When I go to work the first thing I have to do is dress up, put on make-up and make myself look good. After all of this, if I have time before I go on the tables it is a pleasure for me to talk and drink coffee with my colleagues. If you are a new dealer you have to train when you are not on the tables. If you are a trained dealer, you can rest, watch TV, surf the Internet, etc. while waiting for your shift. We learn all games played in the casino. The training takes as much time as needed for a dealer to be prepared enough for the online live game. My training was 4 days, but is most often more than 4. It is absolutely individual. The training is based on the rules and practices for playing all types of games in the casino and on the behaviour of the dealers. Yes, we have to know all the games before we are allowed to deal for real. No, you don’t need a license. You only have to be trained to deal. Yes, pit bosses grade us individually based on looks, the way we behave and how well and fast we deal. If the computer does not count “misdeals”, I know the game is running smoothly. Sometimes the players give us tips- this means they are happy playing on live and I know I have done my job. Very important. It is our communication with the players. They may have questions about the game, which we have to answer in order to help them. No we don’t. I talk with the players for all I want. We are not allowed to reveal our personal details such as Facebook, twitter etc. Most of the time I feel what I don’t have to discuss with the players. I was surprised that a job can also be a pleasure. I love it so much. I get to see registering the correct card, the round timer and blackjack information (insurance, splits, etc). Blackjack. I like dealing cards on that table. Doing my job is fun. I also like talking with the players. Like I mentioned earlier, this is the first time I go to work with pleasure. It’s my second home. If something was to happen, I know there are people there who can help me out for everything. Every day something funny happens. They think that it’s a very special work – like to work for the queen. I don’t need famous people on the tables, just me and my friends. To go out with my friends and have fun. France-Paris, lovely place. It’s so romantic and so magnificent. It’s just amazing. Yes I have a dog and her name is July. Ballads because I’m a romantic person. No, but hope I will be soon. I will be a wizard and I will make the world a better place to live. I will give everyone what is most needed. Yes. Dear players, you are welcome to play with us. Join our online casino in order to enjoy the excitement with our games and especially to meet me. You can play live casino games with Elizabeth at Cyber Club or DublinBet live casinos.